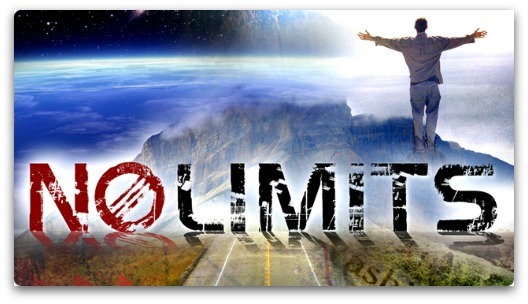 Nothing is off limits and nothing is out of bounds for Me, says the Lord. For I know no bounds. I have no limits. Nothing is too big for Me. Nothing is too small for me. I Am a God of detail and My understanding is infinite. Nothing is too high for Me that I cannot reach. Nothing is too low for Me that I cannot touch. Nothing is too broad for Me to embrace. Nothing is too narrow for Me that My Spirit cannot flow through, for I have nothing restricting Me, says the Lord. What seems complicated and impossible for you is easy for Me. Do not limit Me to what you or others can do or what you cannot see. Look beyond your self and others and believe that I Am the Almighty God in the midst of you, says the Lord. I can put all the pieces together even when your life is shattered. I can bring resurrection life into that which is lifeless. I Am hope to the hopeless. I bring sight to the blind and I have no blind spots. I will do what you will believe me for in unwavering faith. Do not flip-flop from trusting Me to trusting in your circumstances that are beyond your control. For nothing is out of My control, and I am not under the thumb of any other authority. All is subject to Me. Trust that I will heal what is infirmed, bring peace to your storms, liberate the imprisoned and restore that which has been violently taken from you, says the Lord. Extend your faith and come out of the boundaries of your religious limitations and believe for unusual miracles and supernatural provision that will astound you, says the Lord. For I will do great and mighty things in your midst, if you will only believe Me to do it, says the Lord. I believe and receive this for my husbands healing ! Thank you Father. Amen!! Amen Glory To God ! Amen! You’re a Mighty God!! Very Powerful is our GOD! We should not feel limited in our asking because then we are limiting Him, Elohim, THE CREATOR! Hallelujah!